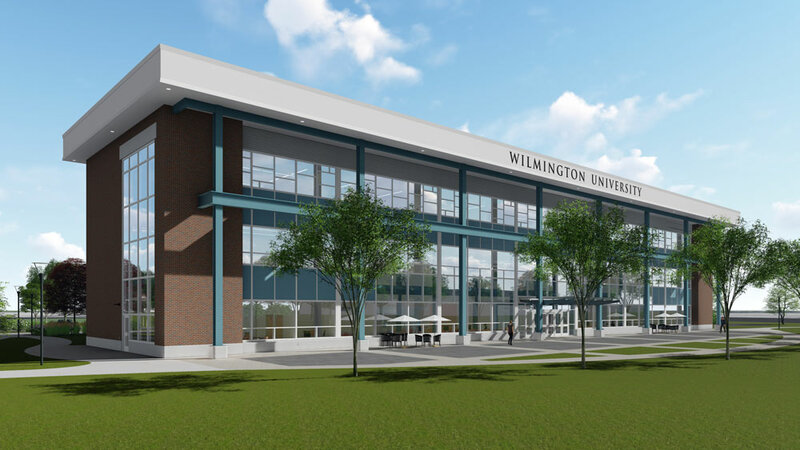 Ground has broken on the new Wilmington University Brandywine Campus at the corner of Route 202 and Beaver Valley Road in North Wilmington. Demand for classes in the area has caused the school to outgrow it's current Silverside Road location. 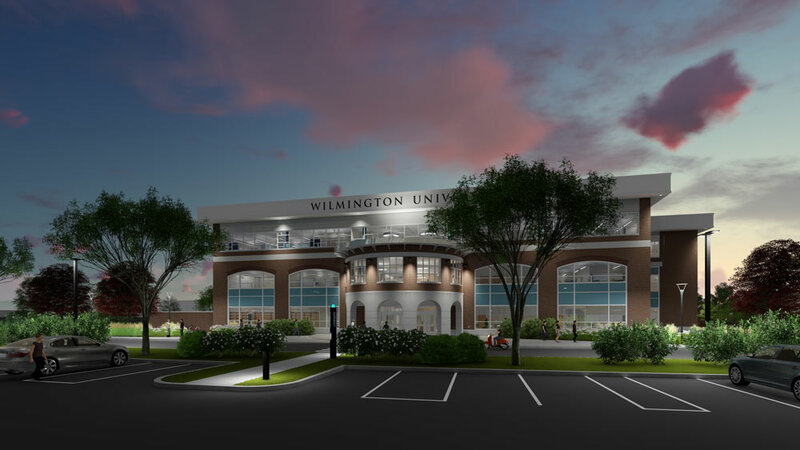 Homsey Architects developed the master plan for the 41 acre campus that will eventually include three three-story buildings. The 60,000 square foot main building, now under construction, will house labs, classrooms, admissions offices, a library, a cafe, a book store, group study areas, and a double-height student center. The beloved red barn visible from Rt 202 will be repaired and integrated with the campus. 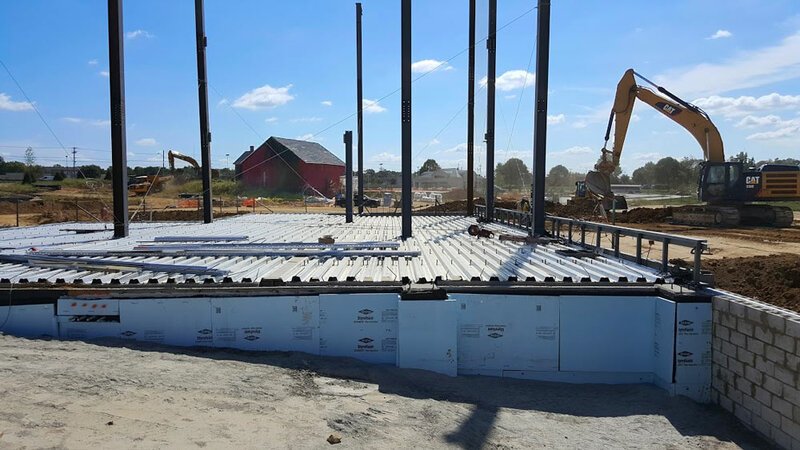 A state-of-the-art drainage system underneath the parking lots will ensure the natural area surrounding the stream in the heart of the campus will not be disturbed. Lansdscape plans by consultant Robinson Anderson Summers Inc. include the planting of 366 new trees throughout the parking and grounds as well as many native shrubs and perennials. Completion of Phase I is expected in time for the Fall 2018 semester.